Today we boated lots of hybrid stripers. They love the cold and overcast days. If you’re looking to catch lots of nice hybrids right now they are doing great on overcast days. The crappie have been really biting great lately. We are using jigs over brush piles in 10-20ft of water. We are catching some really nice & thick black crappie. Most of our crappie are in the 12inch range with some of our crappie in the 2lb range. Slabs casted across points and humps where depth the changes are producing nice white bass. The white bass are holding in the 10-16ft range. We are also catching some nice hybrid stripers on some trips. Wednesday of this week we had a calm over cast day and the hybrids surfaced under birds. We caught some nice hybrids up to 24 inches long. Lake level is nearly 8ft low and water temp is perfect at 61-62 degrees. Crappie - Good. 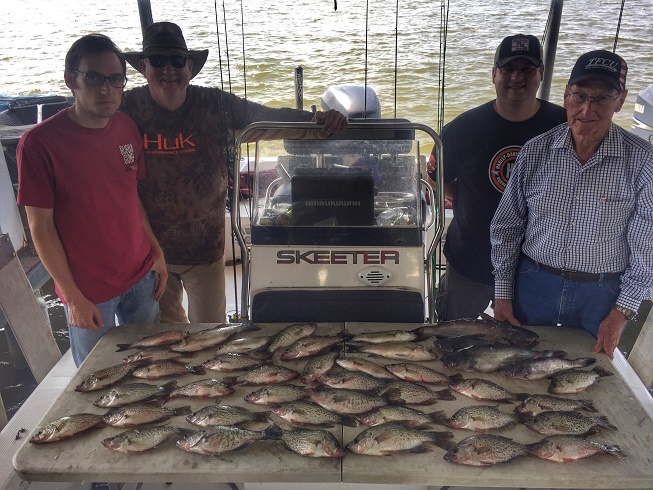 Were catching our crappie over brush piles with jigs. Our crappie lately have been good quality fish up to 2 pounds. Our water temp is about 76 degrees and the lake is just over 7 foot low. 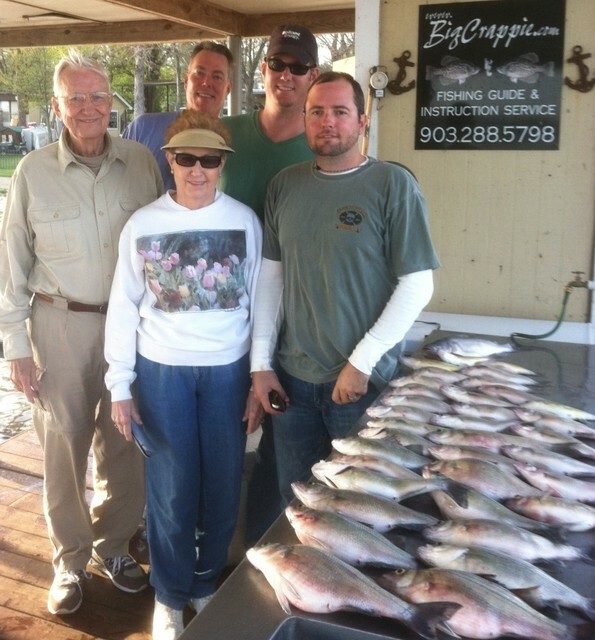 White bass- excellent, limits of big white bass have been common. They offer fast action and good eating. Hybrid Stripers- we have been getting some early surface action with big hybrids the last few trips. Our crappie have started there fall migration into shallower water. We caught crappie as shallow as 5ft deep yesterday. Most boat docks are too shallow to fish with the low water levels but shallow brush piles in 5-10ft of water are holding some nice fish. Jigs are our bait of choice on 6lb hi vis line. We limited out again today on white bass. 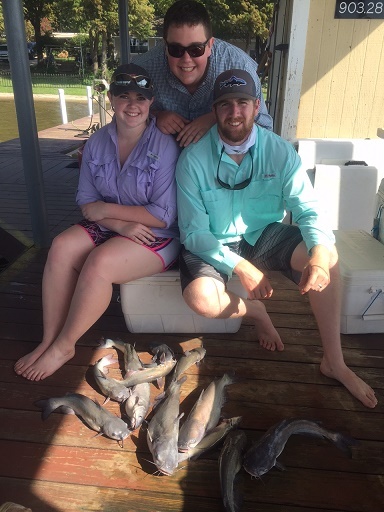 I had a small party of two people and we had 50 keepers in the cooler in about 2 hours once the fish showed up. Our early morning surface bite is sometimes undependable but our structure bite after about 8:30 is very dependable. Hybrid stripers are in the mix of white bass at times but not always. The mornings we have found fish on the surface has been the mornings we've done well on the hybrids. Either way we are catching limits of fish on a regular basis. Please book your fall trip as soon as possible. October, November, & December are very good fishing months that compare to the spring fishing. 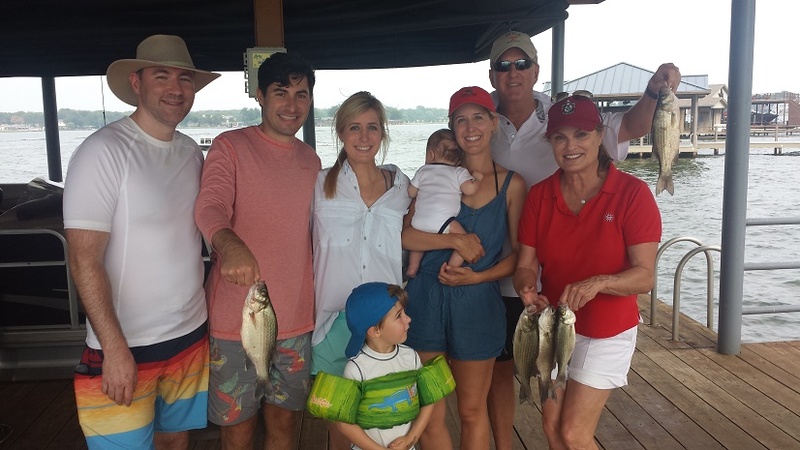 Great weather and excellent fishing! August always produces good numbers of white bass and the accasional great day on hybrids. Surface activity is generally a little less but the fish run together in huge schools making them easy to find and offering fast action. Casting slabs in 11-18ft of water is the normal routine but on accasions we will troll and catch them during late summer only, especially on the really calm days. Limits of whites are very common. Crappie - Typically the crappie are good but not excellent during August. We will acasionally have an awesome crappie trip with great numbers in August but it's the exception. The crappie will hold in 10-20ft of water and can be caught on jigs or minnows. 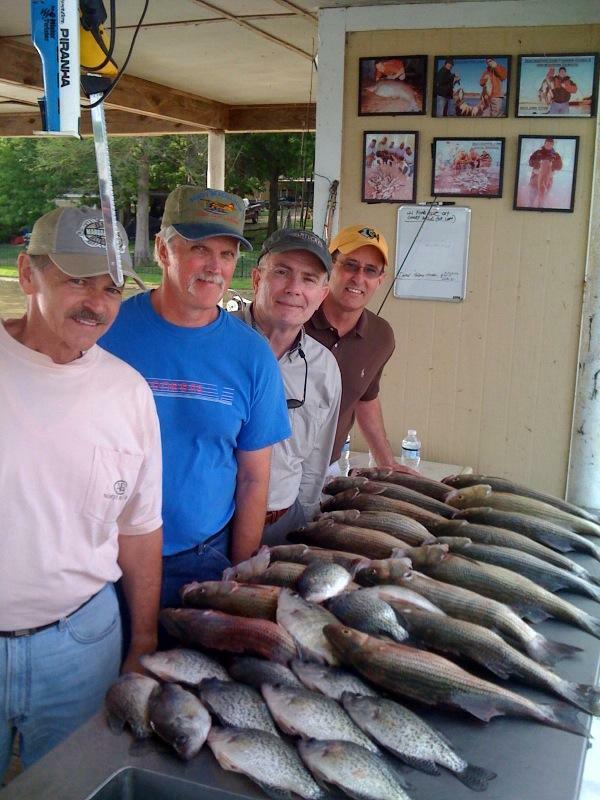 Most trips during August are either a white bass/ hybrid trip or a mixed bag of whites/hybrids & crappie. Crappie are still doing very good. The crappie are still hitting jigs in 10-20ft of water over brush piles. Yesterday morning was excellent, we had 50 in the cooler by 10:15. The bite will generally slow down some over summer but good numbers of fish are still common. Our morning surface action has nearly stopped now but we are just actching them in deeper water. Our best action has been in the 15-25ft range on chrome or chartrues 3/4 oz slabs. 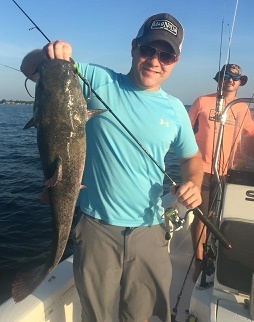 There biting great in 10-20ft of water. We have been using slab bandit jigs on 6lb line. We have been catching excellent numbers on slabs in 10-20ft of water on main lake humps and points. The fish are really stacking up nice on points and have made it really nice for the novice fisherman to catch a bunch of fish. The early morning surface bite has slowed down a little bit but we are still catching 30-50 fish during the first hour of daylight. Crappie - Excellent bite on jigs in 10-20ft of water. Some days the bite has been so good that we have caught limits really quick. Other days its still been really good but slower. Noticing light bites and presenting your bait at the right depth is key to success. White Bass- Excellent***Fantastic surface action lasting for 1-3 hours lately. Today we ran a group of 8 guys and had 200 fish in the coolers in 2.5 hours. Fantastic hardly describes how good it's been lately. Book now for your trip of a lifetime! Jigs in 5-13ft of water over any kind of cover. early morning and late evening have been the best. Jigging spoons in 12-20ft of water on all main lake humps and points. Jigs in shallow water are producing good quality fish. All the warm weather has our fish trying to spawn. White Bass- Excellent - great numbers of quality fish have been the norm this week. if you’re looking for action these fish can’t hardly be beat. There great fighters and lots of fun to catch. great in the frying pan too! Overall the crappie bite has been excellent. Some of the recent cold fronts have hurt our bite some but it has rebounded within a few days of warm weather. I expect the bite the remain excellent with the exception of post front conditions. Most trips we have done very well but old man winter is not gone yet. These cold fronts set us back a bit but it rebounds quickly with sunny warm weather. If your wanting on the schedule please book early. Our schedule is filling very fast. We still have a few openings spring break week. Normally by mid April our bite is steady and the fronts dont hurt us much. Book early because spring is our busiest season. 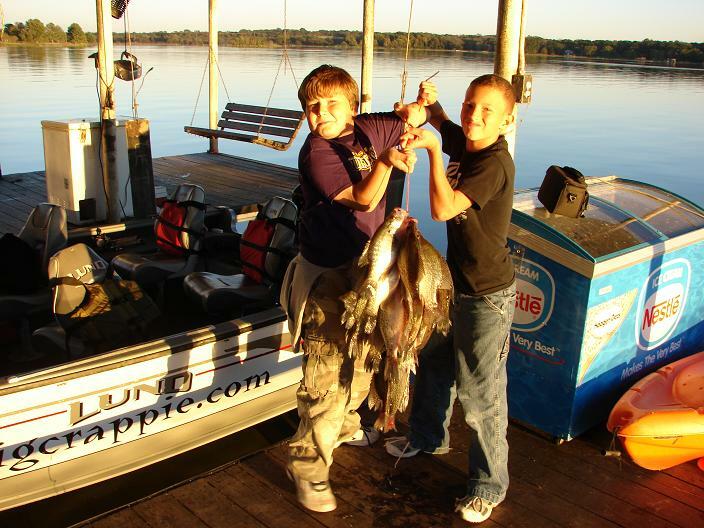 02-23-11 Crappie and Hybrid Stripers doing Great! Catching lots of nice crappie on Jigs. I expect the bite to remain good for a while as long as the warm weather hangs around. Hybrid Stripers - The last two days have been excellent on Hybrid Stripers. They have been running shad into shallower water and feeding near the surface. We've been throwing swim baits and catching good numbers of quality fish up to 7lbs. Our schedule for March thru May is getting very booked, especially on the weekends. However our schedule for the next two weeks is not over booked so call and grab a spot while the weather is nice and the fish are biting. Crappie- Finally found them GOOD yesterday, the bite was great. Today it was a little slower but we still ended with a good mess of nice crappie. We didn't have any short fish at all the last two days, all our fish were really nice heavy fish. Everything caught on jigs! 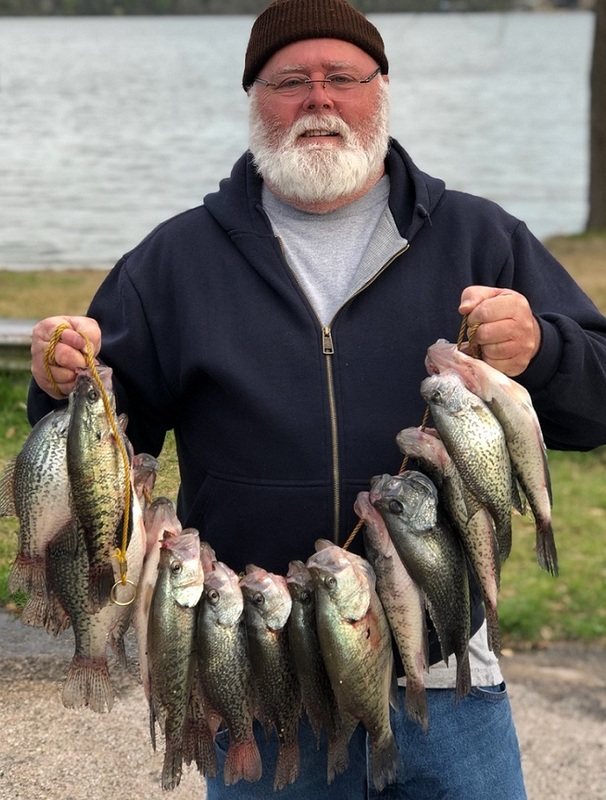 Crappie - As winter moved in our water temps have dropped into the high 40"s. With the cold water our crappie bite has slowed down some. We are unable to get into our creeks for our winter creek bite until the lake rises some. As of today we are almost 4ft low. We are still catching some excellent quality fish but our numbers of fish have decreased. Jigs or minnows over deep brush piles have been our best patterns. White Bass/Hybrids - Some days the bite is excellent but overall our bite is slow. We can still catch fish but until our fish begin moving into there prespawn pattern in February our bite will remain fair. NOW RUNNING SOME WINTER TRIPS ON PINES, about 2 1/2 hours east of Dallas. Lake of the Pines - Excellent bite in 30ft of water on jigs. 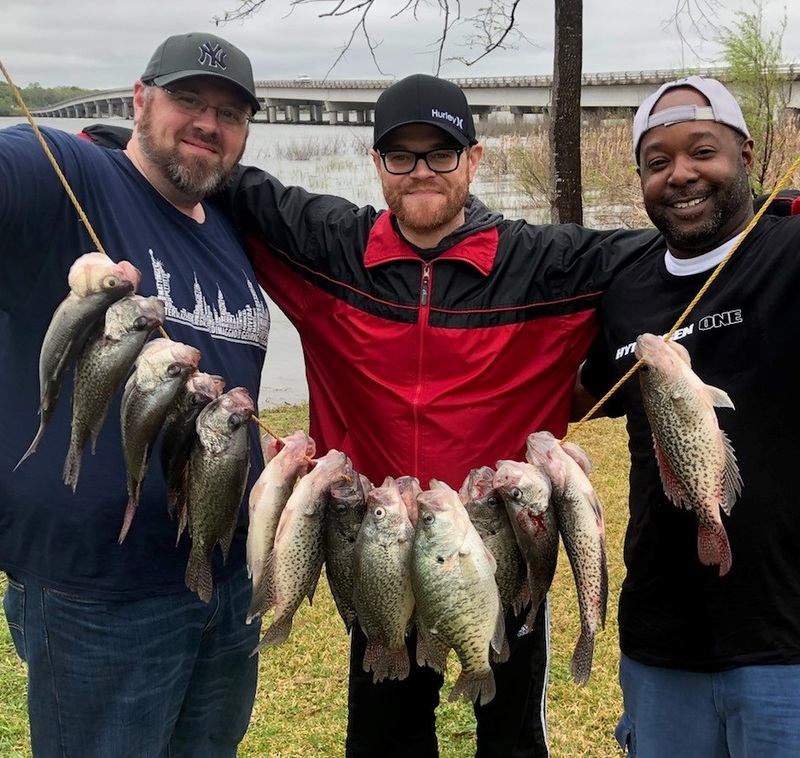 Limits of nice crappie common with some fish being caught up to 15 inches. Until the end of February I will be making two trips per week to lake of the pines depending on weather. If you would like a trip please call and book a full day trip.